1. Paulo Goncalves (POR/Honda) 3 h 56:00. 2. Marc Coma (ESP/Ktm) 14. 3. Matthias Walkner (AUT/Ktm) 30. 4. Pablo Quintanilla (CHI/Ktm) 1:32. 5. Toby Price (AUS/Ktm) 1:49. 6. Juan Pedrero Garcia (ESP/Yamaha) 3:20. 7. Alain Duclos (FRA/Sherco Tvs) 3:48. 8. Helder Rodrigues (POR/Honda) 4:05. 9. Stefan Svitko (SVK/Ktm) 5:09. 10. Riaan Van Niekerk (RSA/Ktm) 6:06. 1. Joan Barreda Bort (ESP/Honda) 25 h 40:48. 2. Marc Coma (ESP/Ktm) 6:28. 3. Paulo Goncalves (POR/Honda) 10:59. 4. Pablo Quintanilla (CHI/Ktm) 25:16. 5. Toby Price (AUS/Ktm) 29:20. 6. Helder Rodrigues (POR/Honda) 33:56. 7. Stefan Svitko (SVK/Ktm) 40:23. 8. Ruben Faria (POR/Ktm) 40:55. 9. 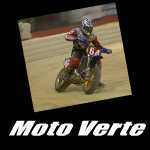 Alain Duclos (FRA/Sherco Tvs) 50:31. 10. David Casteu (FRA/Ktm) 1 h 16:52. 7 juin 2018 – Dakar - Une édition 100% Pérou ! 29 mars 2018 – Dakar - Skylar Howes déjà inscrit pour 2019 !